OMAHA, Neb.—Shen Yun seems to bring out the best in people. Maybe it’s magic. “Magical,” that was the one word that Peggy Duggan used to describe a performance by Shen Yun Performing Arts Touring Company. 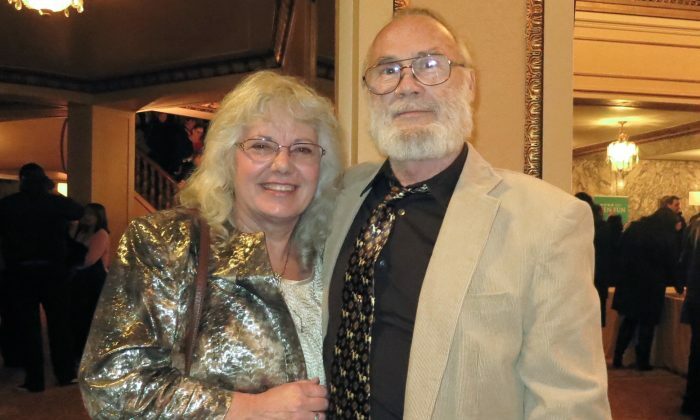 The retired social worker saw the traditional Chinese dance and music performance with her husband, Garry, at the Orpheum Theater, on Jan. 14. Shen Yun aims to restore the values and traditions of a time long gone in China. “For 5,000 years divine culture flourished in the land of China. Humanity’s treasure was nearly lost, but through breathtaking music and dance, Shen Yun is bringing back this glorious culture,” according to the company’s website. The ancient legends, tales from literature and stories of present day China are not only told by Shen Yun through dance, they all have the same basic undercurrent: showing the principles of being a good person. They all aimed at uplifting us to be good people. “Throughout history almost every culture looked toward the divine for inspiration. Art was meant to uplift,” the company website explains. And thus the stories performed tell of people holding fast to their faith, of heroes sacrificing for their country, or of the purity of nature.